Ortega y Gasset Projects is pleased to announce the first New York solo exhibition by multi-disciplinary artist Rose Nestler, opening on Saturday, January 6th from 6 to 9pm. 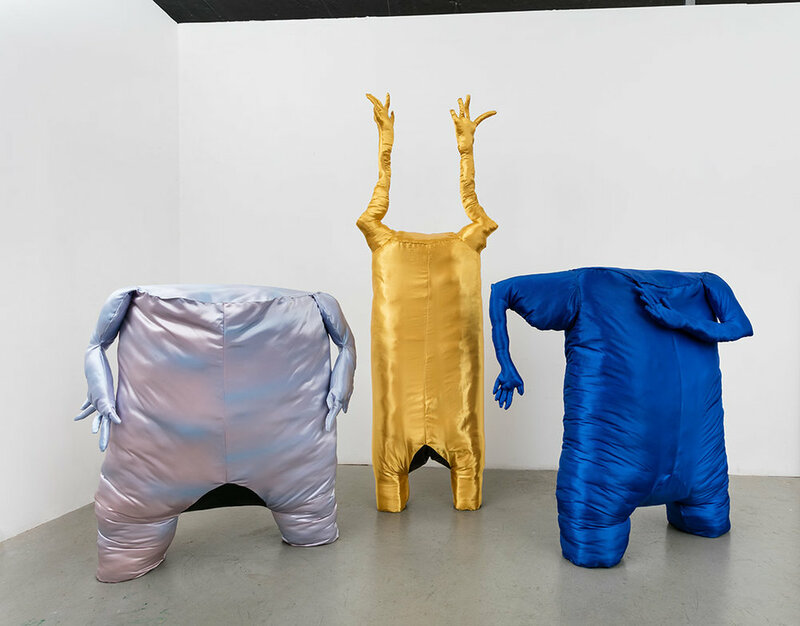 Strange Business brings together video, free-standing sculpture and wall pieces that focus on Nestler’s interest in simultaneously creating tension and humility between bodily and physical space. Nestler’s free-standing sculptures are totemic, soft, and somehow also humorous. Melding ideas of gender, play, and monuments, these sculptures stand taller than most of us in the gallery space and remind us of our mobility in their stoic state. re-evaluate how our own bodies take up space. Rose Nestler, b. 1983 in Spokane WA, lives and works in Brooklyn NY. She received her MFA from CUNY Brooklyn College in 2017. Her work has been featured in group shows at Crush Curatorial, Couples Counseling, Bruce High Quality Foundation and NARS Foundation. Nestler has been an artist in residence at Byrdcliffe, NARS Foundation, and Chashama. Also opening in The Skirt on Jan 6 is Saxon Corner, Jim Osman.